Michael Quirl teaches a class on information and communication technology at the Goodwill Career and Technical Academy. Shaun Jackson worked at HEB for eight and a half years until one day a customer in the checkout line told him about the Goodwill Career and Technical Academy. “She told me that Goodwill is a good place to get some help, and they actually helped me," Jackson, 25, says. "I’ve been with them for maybe about two and a half years now, and they gave me some tools. They’re good." Jackson has taken two courses at Goodwill so far. They have allowed him to land jobs doing electrical work for the University of Texas and Travis County. Now, he’s taking a new BICSI Installer course to get certified to install computer network cabling. BICSI is the accrediting organization for low-voltage installers, people who pull the cables between the ports in commercial apartments or office space. The BICSI course was Addie Kellington's idea. Addie Kellington is the director of instruction at the Goodwill Career and Technical Academy. 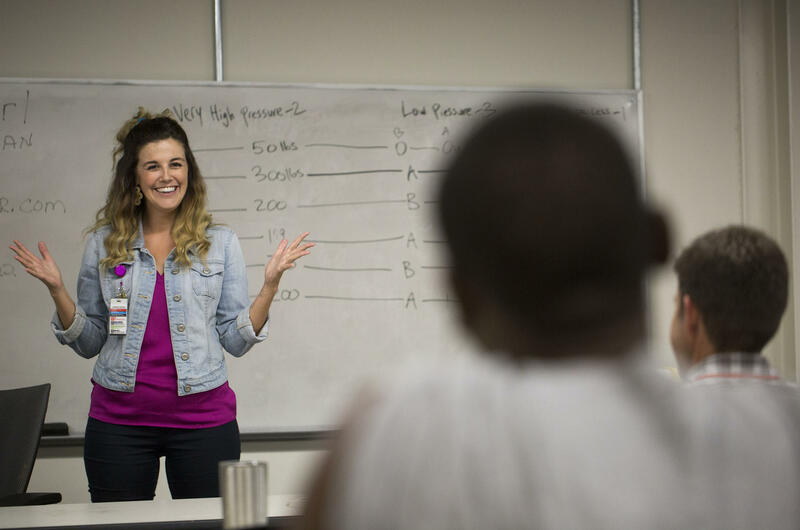 Goodwill hired Kellington in 2016 to expand the school’s course offerings and increase enrollment. She worked with Goodwill’s career services department to find out what skills employers are looking for in Austin, then went to those companies and asked them to donate the equipment Goodwill needs to certify students in BICSI. “There’s no BICSI certification center in Central Texas. So locally, people were having to send their employees to Houston, Dallas, Tampa," she said. "So we’ve been for the past year working on this accreditation with BICSI, and we were just approved." 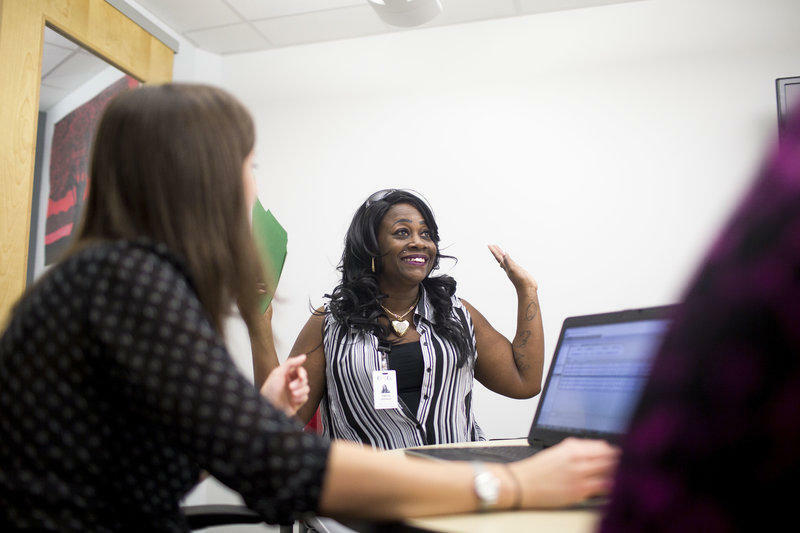 Goodwill now offers 20 training courses for free to those who meet minimum income eligibility requirements and is helping 500 people get new job skills this year. “We have a phlebotomy class, acute care, home health, medical terminology," Kellington said. "We’re about to add a medical assistant class starting in January. We’ve added a [commercial driver's license] program. We have several construction classes. We have the pre-apprentice electrical program." Goodwill is building a state-of-the-art campus on the former site of a large retail store at the Norwood Park shopping center. Public grants pay for tuition, including course materials and instructor expenses. The rest of the cost of running the program, such as building the facilities and administrative costs, are covered by revenue from Goodwill stores and services. 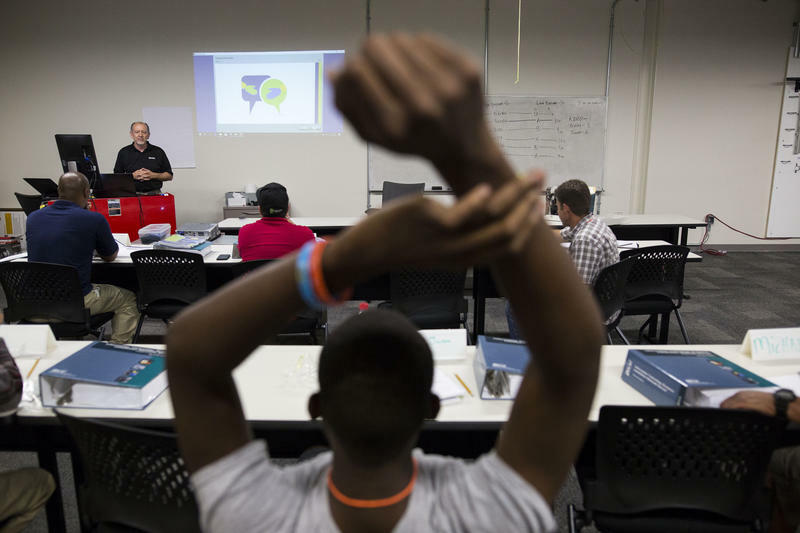 The Goodwill Career and Technical Academy expansion is part of a citywide effort to train more people to fill middle-skilled jobs in Austin. Earlier this month, Mayor Steve Adler and Workforce Solutions Capital Area, which distributes money to local job-training programs including Goodwill, released a Master Community Workforce Plan that calls on these programs to work with employers and increase the number of students they’re serving. Adler said this is a key part of helping people who grew up in Austin, like Shaun Jackson, from being edged out by the rising cost of living. “We have in this city an abundance of middle-skilled jobs available; it’s estimated over the next five years, 60,000 positions," Adler said. "If we don’t have the people here locally that are skilled and trained for those jobs, then those workers are going to be imported from outside Austin into Austin." Jackson said he’s making a little more now than he was at HEB, and he’ll make a little more when he finishes the BICSI course. One day, he said, he hopes to be his own boss and have a career. “That’s why I’m trying to further myself, so I can actually go live my life and become somebody," he said. "And do the things they do on TV." At 43 years old, Katina Johnson is planning her high school graduation party. It's been about 30 years since she dropped out of middle school when she found out she was pregnant. Even before then, though, she'd never had a stable education. Her mother was addicted to drugs and moved her around a lot before she died when Johnson was just 12 years old. "That was the last time I even seen the inside of a school," she says.